Today’s post is a little bit different, but in a good way, I think. 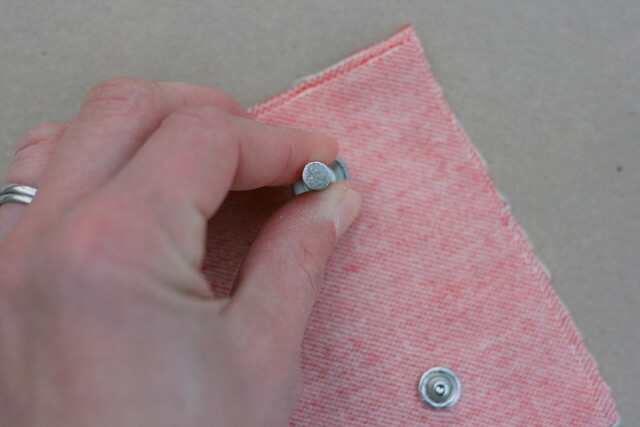 I want to share how to install pearl snaps since there seemed to be some interest after I posted my latest flannel shirt featuring pearl snaps on the blog and on Instagram. 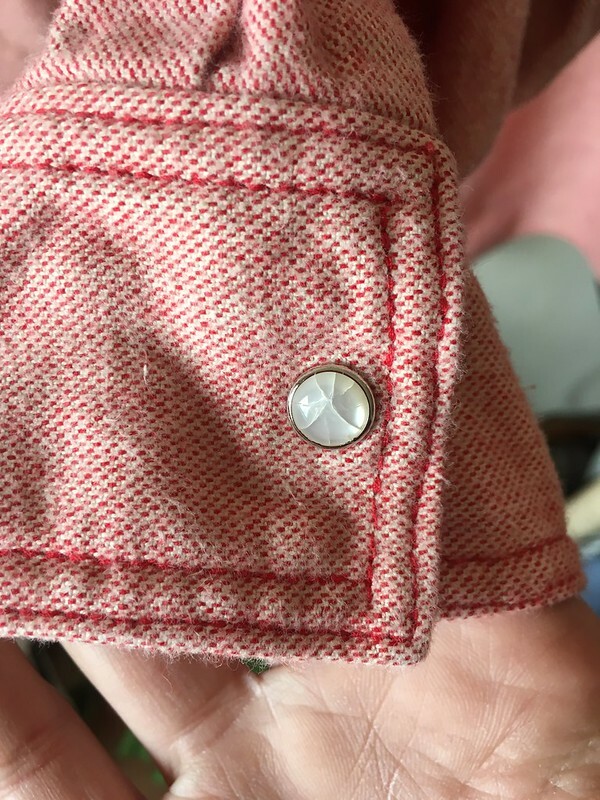 Obviously I’m no expert, but I tested out a few ways of installing pearl snaps, and this was my favorite. Before we begin, let me just say: it pays to practice. 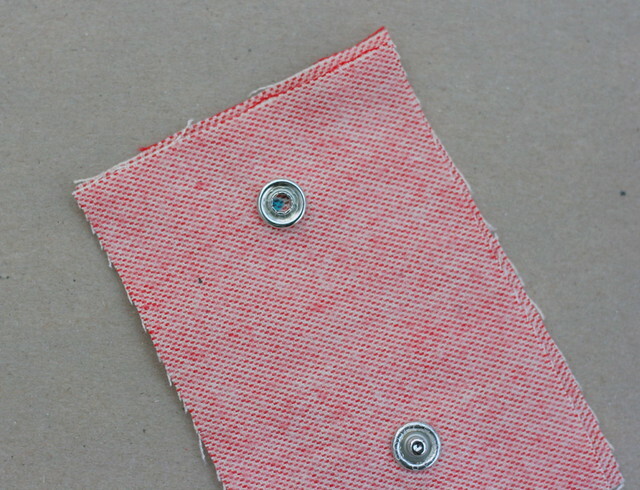 I made sure to have extra snaps so I could practice putting them into scrap fabric before trying to install them in my shirt. Even so, I still had a cracked snap, but because I practiced, all the other snaps came out just right–all functional, and all in the correct location and right way out. OK. Let’s get down to business! 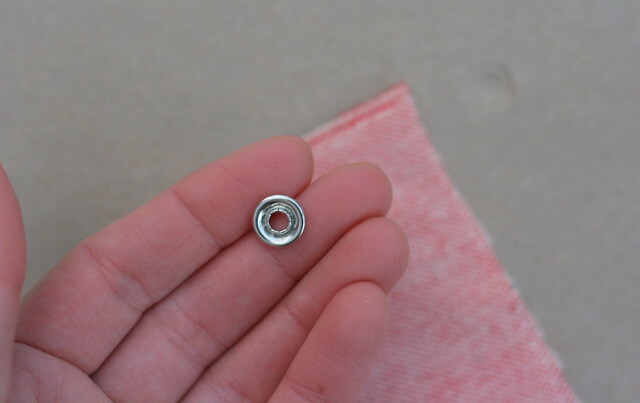 Here are some close-up pictures of the snap-setting tool I used. It’s pictured above near the top left of my flannel square. First, make sure that you have at least two thin layers of cardboard as a work surface under your snaps when you are setting them. I used a single layer of thin cardboard from a shoe box for my first snap. That snap cracked. Once I doubled the layers, I didn’t have that problem any more, thankfully. Learn from my mistake! 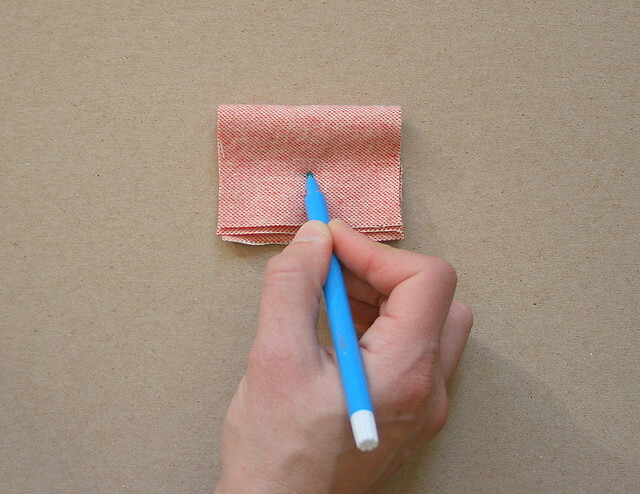 Before you install your snaps, lay out your shirt as you plan to wear it with your plackets or cuffs aligned and mark the desired location of your snap with your marker. Next, put a pin in the place that you marked. 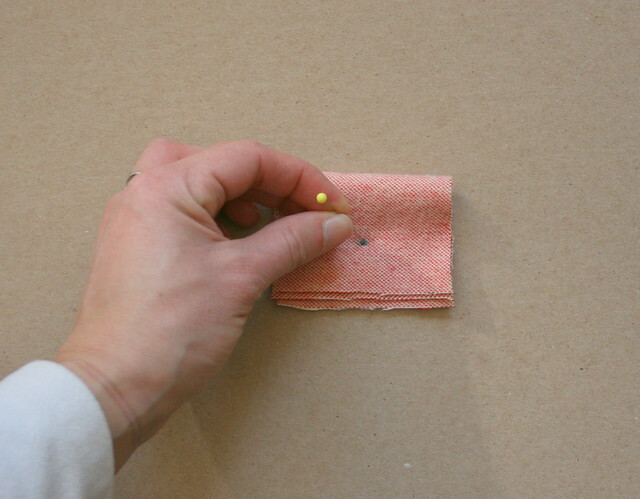 Holding the pin in place, lift your top layer and mark around the pin on the bottom layer. This way the snaps will line up when you go to put your shirt on. 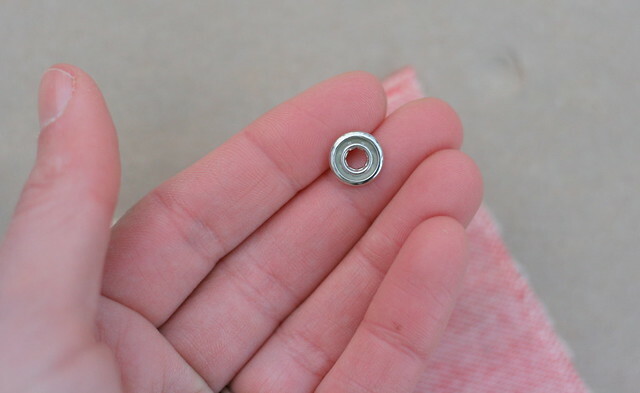 There are four pieces to each snap: the pearl part with prongs, the male part of the snap that is attached to the pearl part, the female part of the snap, and the back part with prongs that the female part attaches to. It’s a good idea to put the pearl side of your snap in first. That way you make sure the visible part of the snap is right where you want it. 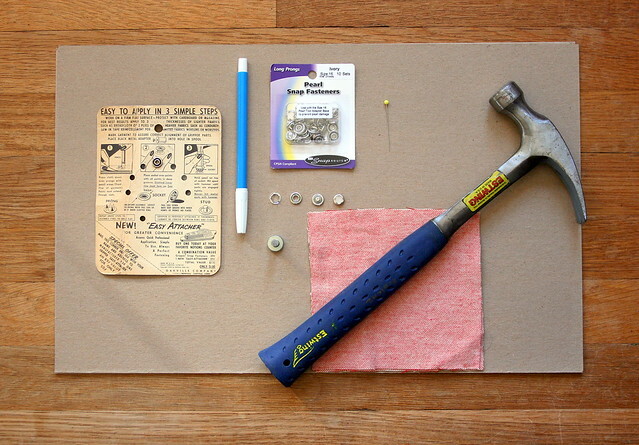 In order to do this, lay the pearl part of the snap on your cardboard with the prongs facing up. 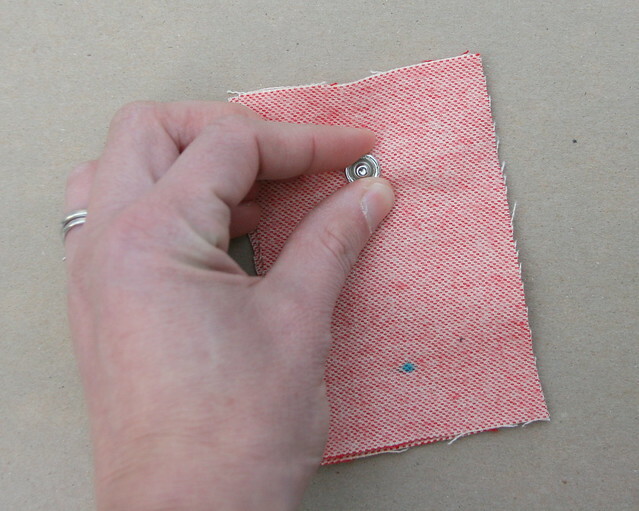 Lay the right side of your fabric over the prongs and facing the cardboard with the placement mark you made centered over the prongs of the snap so that it is in the middle of the snap. 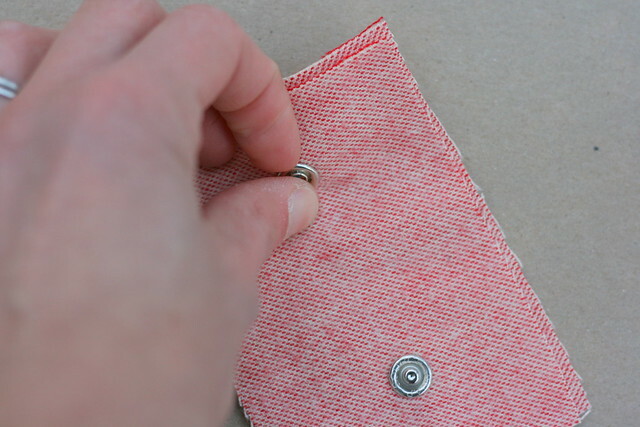 Gently push the fabric down (being careful not the stab yourself with the prongs) until all of the prongs protrude through the fabric. IMPORTANT NOTE (4/16/19): I made a mistake below. 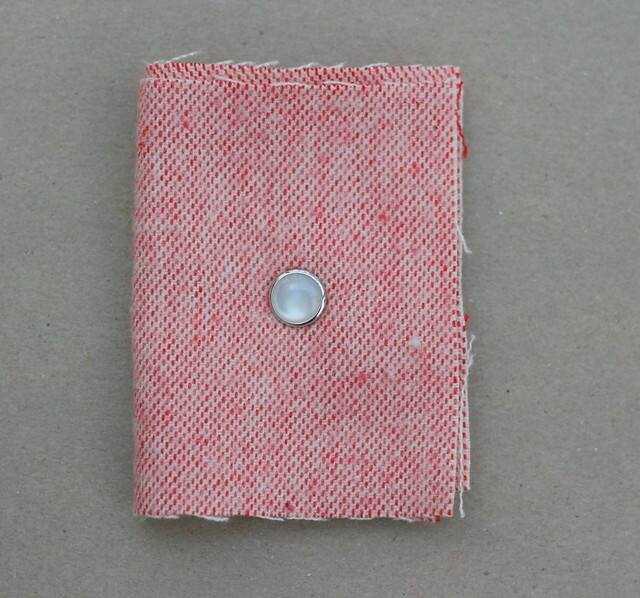 According to the package instructions, you pair the female side of the snap with the pearl top and the male side of the snap with the bottom ring. I have it reversed below, which works just fine, but isn’t what the instructions on the package tell you to do. 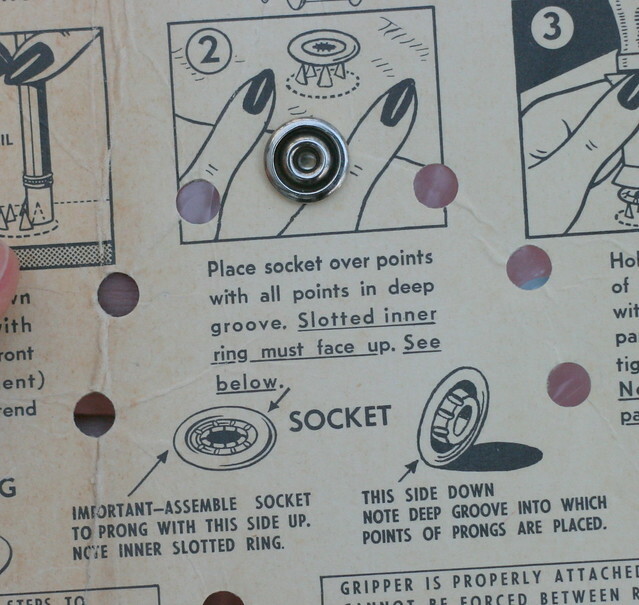 All the instructions below are still good, just pair the pearl top with the female side of the snap and the ring bottom with the male side of the snap. Sorry for the mistake (and that it took me so long to realize and correct it)! 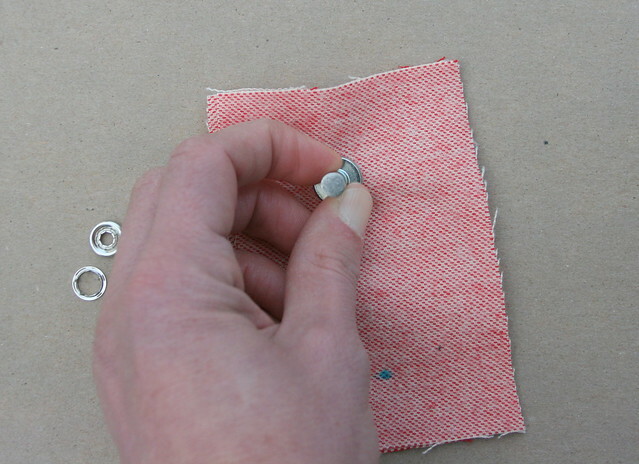 Next, carefully place the male side of the snap over the prongs and put the snap setting tool over the snap. 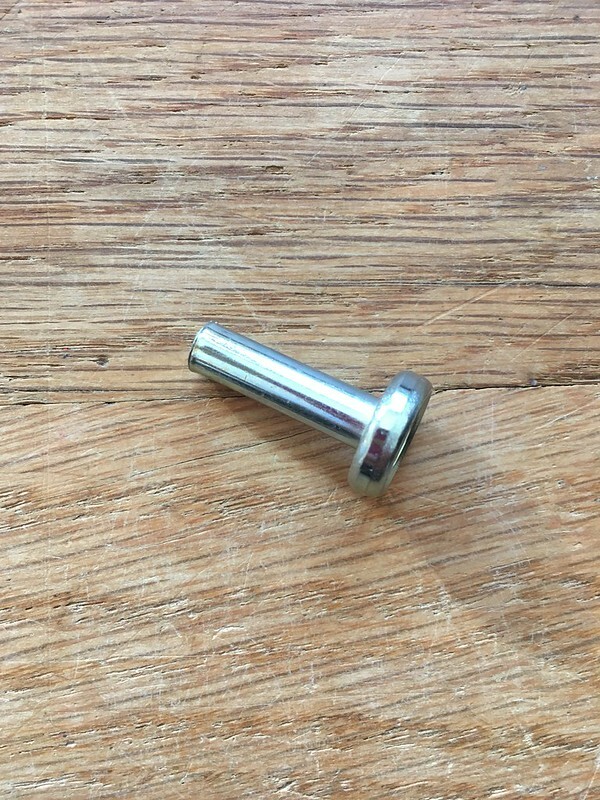 The tool should have an indentation that will allow you to cover the snap without worrying that you will flatten the male part of the snap (and yes, it both makes sense and is completely weird that we are talking about male and female parts of a snap). 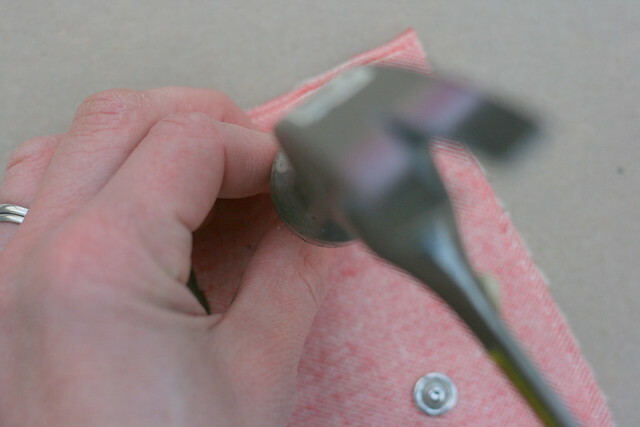 Holding the snap setting tool over the male part of the snap which is resting on the pearl prongs, hit the tool with the hammer several times. 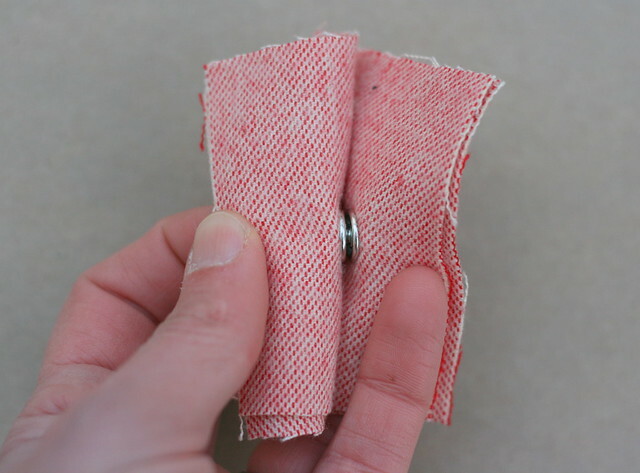 Check to see if the snap has been pounded on enough by trying to slide your fingernail between the two snap pieces. 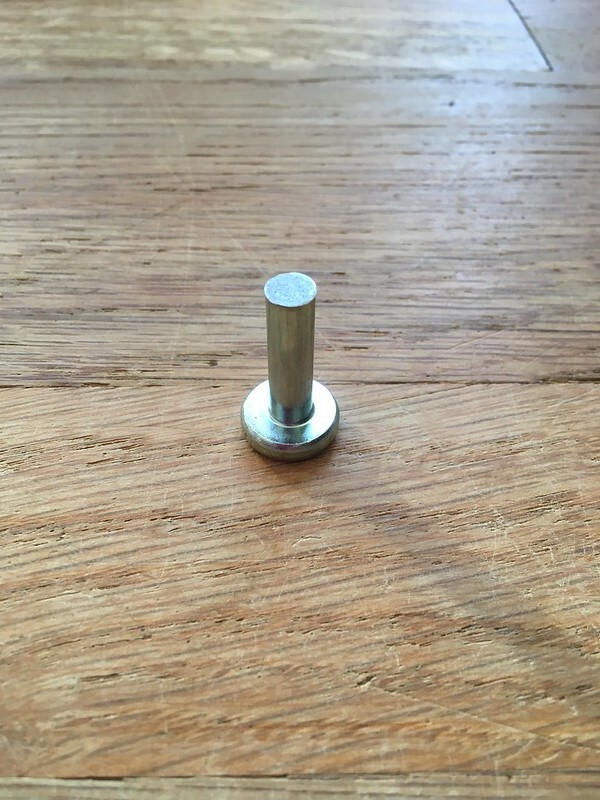 If your nail won’t go between, you’ve done it! If it does go between, place the tool back over the snap as before and give it a few more hits with the hammer. Good job! You’re halfway there! 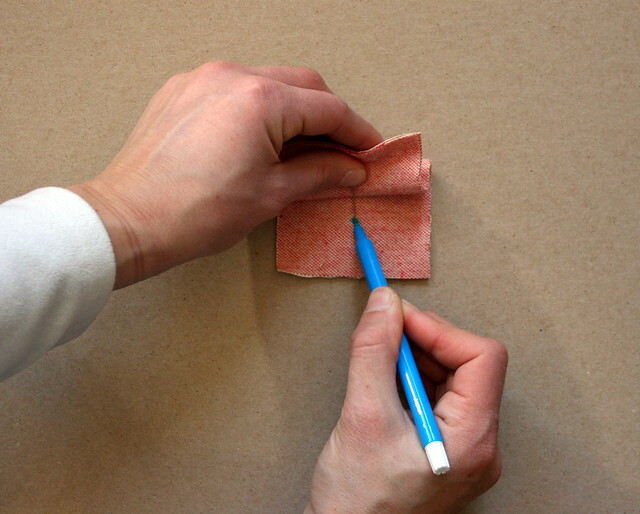 Now lay the back side of the snap with the prongs on the cardboard, prongs facing up. 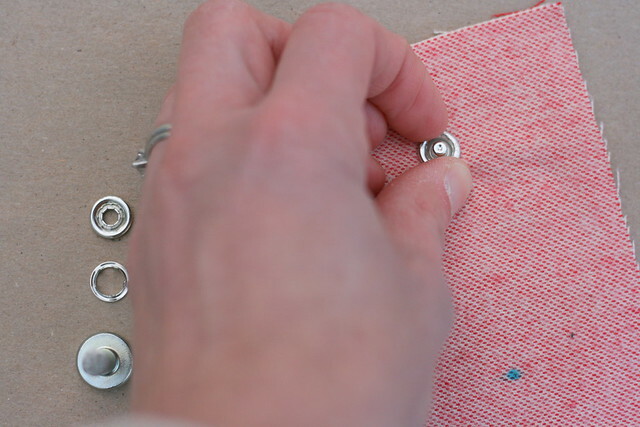 Carefully line up your placement mark from the corresponding area of your cuff or placket so that the mark is in the middle of the prongs and press down on the fabric (again, trying not to stab yourself with the prongs) until all of the prongs come through. 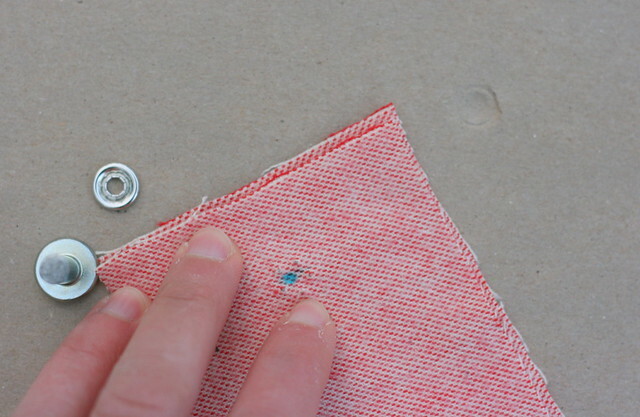 If you want to, you can gently lay the part that you already did over the top just to make sure things look like they are lining up before finishing the installation. Now is also a good time to check that you aren’t putting the second part of the snap in backwards (I have done this). Now take the female part of the snap and lay it over the prongs, placing the side with the deepest grooves down on the prongs. If you are unsure about which way to orient this part of the snap, here is something I found helpful. 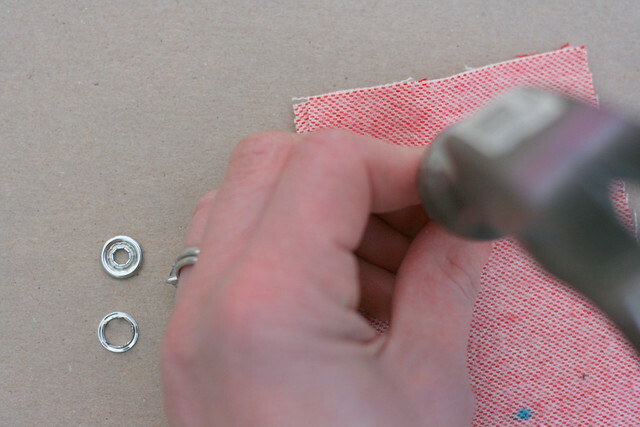 Place the snap setting tool over the female side of the snap and hit it a few times with the hammer. 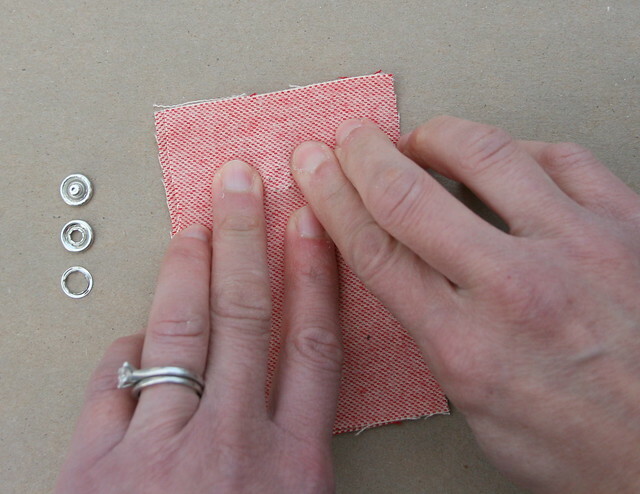 Do the fingernail test again to make sure it’s been pounded on enough and then test your snap by snapping it together. It should be all set (ha, ha)! There are multiple types of snap setters and you may end up liking another style better. I chose this one because of the two I had been given, this metal one and a blue plastic one, I liked this the best. If you have a favorite tool for setting snaps, tell me about it in the comments! 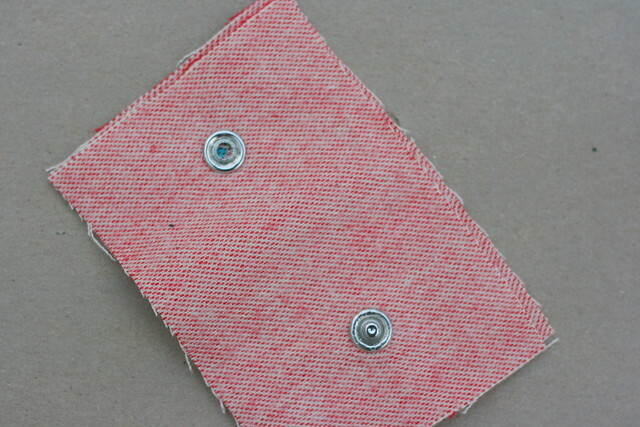 I love discovering new sewing gadgets! This week I made Smitten Kitchen’s Black and White Cookies, and they were excellent! Last week I watched the movie The Young Victoria about the years just before and after the start of Queen Victoria’s reign. It was such a good movie and really makes you admire both Queen Victoria and Prince Albert as well as the force for good that they were together. Great tutorial, thanks for sharing. You’re welcome. I hope it helps! Thank you! I have been so intimidated by snaps until now! You’re welcome. You can do it! where can I find the snap setter tool like the one you used in this demo…And thank you for sharing . I would guess that you could find it at JoAnn Fabrics or any large chain store. If you don’t have one nearby, you could try Amazon or maybe fabric.com. Good luck! 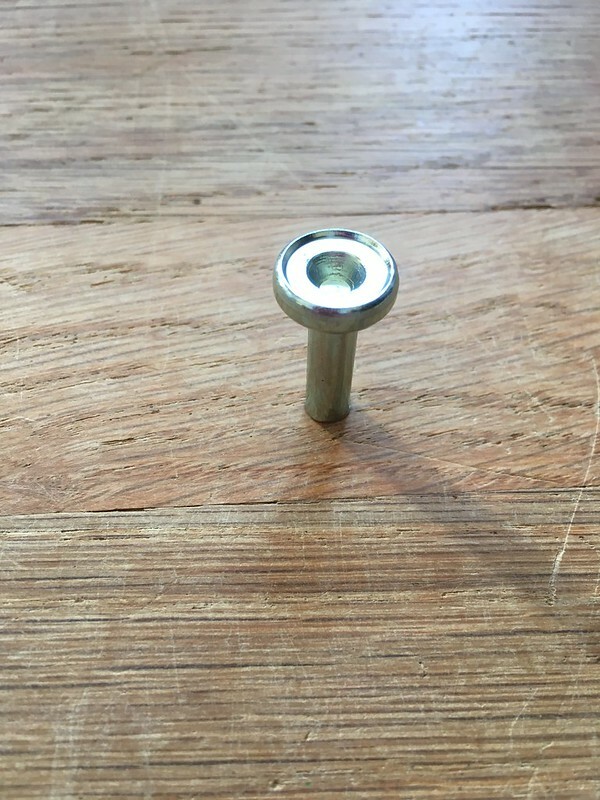 Thanks Lisa, do you know brand name of snap setting tool, (still looking) maybe if I knew brand name of tool that may help some. You have the best demo I’ve seen…Thanks once again. Hi, Betty. Thanks for that compliment. It means a lot. I inherited this tool from my husband’s grandmother, so I don’t know what brand it is. I would try Dritz for starters, and if that doesn’t turn anything up, maybe type “snap setting tool” in Google. You could also check snapsource.com. They are the ones that made the snaps I used, so they probably sell setting tools as well. 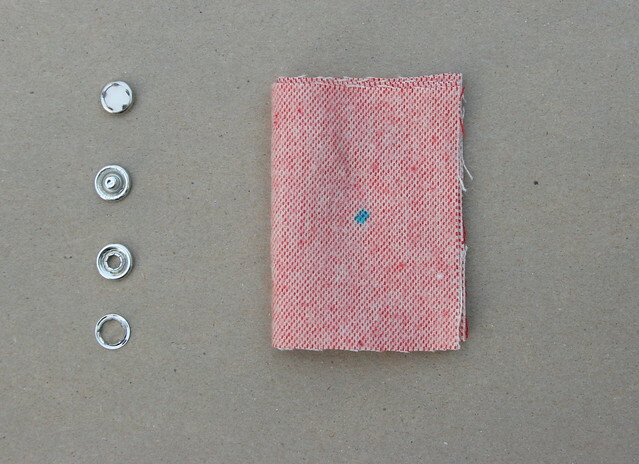 Wawak.com sells a lot of sewing tools as well, so they might be another option.